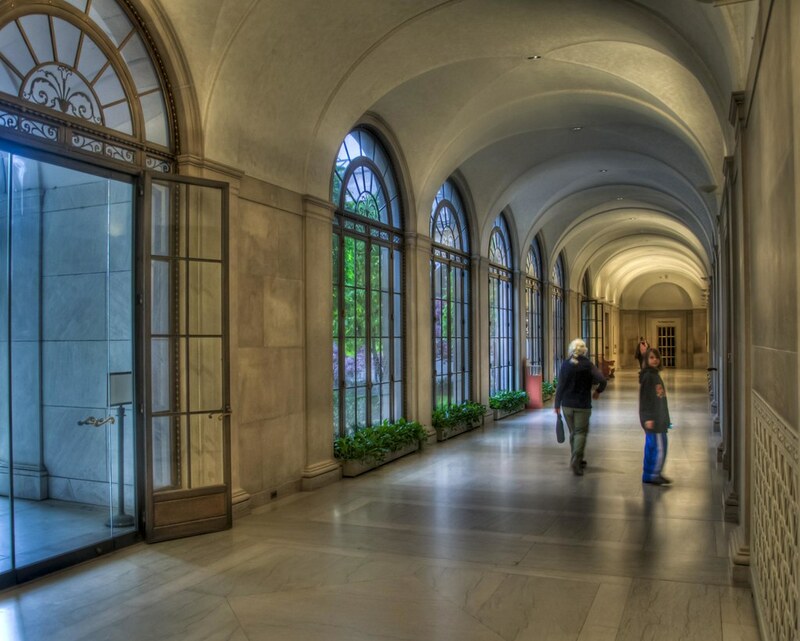 The Asian Art Hall | Just Shooting Memories! I read a post on Photofocus the other day about becoming a better photographer. In it, Scott Bourne talks about using writing to become a better photographer by making the photographer focus on telling a story. That made me think and go back to some of my work from when I first started writing this blog. What I discovered opened my eyes. Maybe writing really does work to improve photography. Today’s photo comes from the Asian History Museum in Washington D.C. It amazes me how the architecture is as much a part of the museums as the pieces on display. I was walking around this museum when I rounded the corner and saw these windows lined up and leading to a large metal bared door on the other end of the hallway. (I later learned that is where some of the more valuable pieces are as well as the stairway leading to the administrative offices in this building) I just thought the symmetry was perfect in the architecture.